Should say Surrey Mountain Rescue! PCW064, Not sure what you mean??? I build, paint and finish all the kits in my showroom. 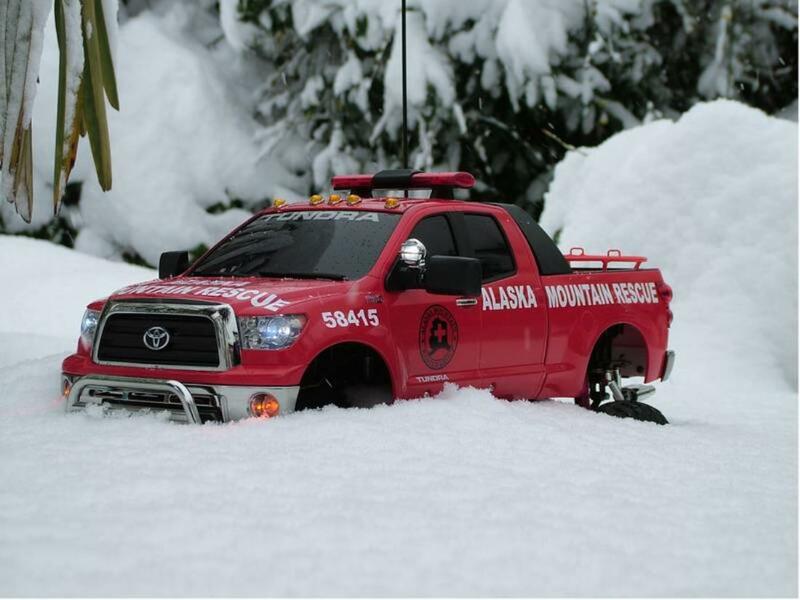 I only showed one photo as the Tundra isn't finished yet. Thanks for your comment anyway!! PCW064 was joking about the wheels and chassis being covered by the snow. The pic almost looks like the finished body has been cleverly placed in the snow to look like the complete thing. The front looks like that, the rear is clearly the give away. I thought it was an amusing observation anyway. Very cool buddy, really like this one! Very nice picture, and your truck looks great in the snow. Great looking truck nice picture. oh man I missed this one, I really love this rig Ian!